Poker tournaments have gotten noticeably tougher over the past few years, and they’re getting tougher every day. In order to stay ahead of the curve, serious tournament players habitually analyze and improve their strategy. There are still some winning players that refrain from studying, but it’s only a matter of time until they’re surpassed by an always-improving player pool. Poker tools are extremely helpful when it comes to improving your skills, and are therefore essential for the modern tournament professional. But there are hundreds of poker tools on the market, so it can be tough to know which one is best for you. A poker tool for calculating equity. A tool that tells you which hands to shove/fold with a short stack. This first poker tool isn’t specifically made for tournaments–it’s important for cash players too–but all tournament players should be familiar with it (or a similar tool, such as the now defunct Poker Stove). Counting combinations of hands in a range. Creating ranges to reference later. Experimenting with different ranges on varying board textures to better understand the concept of range advantages. Of course, you can also use Equilab to calculate how a single, specific hand does against an opponent’s perceived range. Doing these calculations regularly is a fantastic way for beginners to improve their skills. First hand of a live 6-max tournament. Blinds 50/100. Effective stacks of 10,000 chips. UTG raises to 300. folds to btn. Hero calls. blinds fold. UTG bets 400. Hero calls. Before making our decision, let’s consult Equilab to see how our hand is doing against his range. Suppose Villain is an acquaintance of ours who we’ve played a lot of poker with, so we have a good idea of all the hands in his range. Let’s say ATs, KTs, QTs, KTs, TT+, J9s and 88 make up his value range, and, being a fairly conservative player, his bluff range consists of just QJs and KJs. Equilab tells us that our hand equity is 33.47%. The next step is to consider our pot odds to see if we are being offered the right price to call. 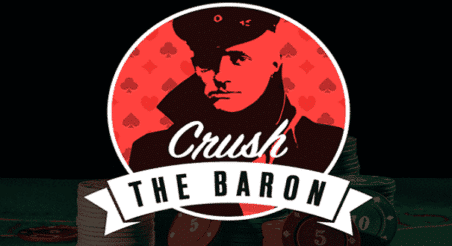 We need to call 550 chips on the turn to win a total pot of 2100 chips (the 1550 chip pot + UTG’s 550 chip bet). That makes our pot odds 2100:550, which can be reduced to 3.82:1. If we convert that ratio to a percentage, we get 20.7%. So, our 33.47% equity is more than enough to call the turn bet. UTG bets 550. Hero calls. Equilab is free, but Power Equilab and PokerRanger are premium poker equity calculators that have more robust features that advanced players might appreciate. That said, the standard Equilab will do the job just fine for most of you. If you regularly study tournament strategy here at Upswing Poker, you’ve probably come across the term ICM. For those of you who don’t know the term, ICM stands for Independent Chip Model. The tournament’s pay out structure. While you don’t need to be able to make precise ICM calculations on the fly to be a successful tournament player, you should have at least a rough idea of how it affects late-stage tournament play. ICMIZER 2 doesn’t just show you the correct play in certain spots—it gives you a better understanding of how ICM dynamics dictate optimal tournament play. In other words, it’s a great learning tool. After using it for a while, you’ll need to consult ICMIZER 2 less and less often. ICMIZER 2 is also a highly usable piece of software. It has a clean, intuitive user interface, and plenty of convenient features such as pre-set tournament types and hand history importation. The full version of ICMIZER 2 is paid software, but ICMIZER 2 Basic is free poker software. The basic version allows you to do three ICM calculations and one Nash equilibrium calculation per day. Learn more about ICMIZER 2 here. Designed by well-known high-stakes professional Max Silver, SnapShove is an app (for both desktop and mobile) that’s essential for anyone learning short-stack tournament play. SnapShove is essentially an interactive push/fold chart; it uses Nash equilibriums to instantly tell you whether you should shove, reshove, call, or fold in any given situation. In other words, SnapShove is poker software that tells you what to do when short-stacked. SnapShove is not only for beginners: even seasoned tournament pros find themselves in marginal short-stack spots where they’re unsure what to do. So, it’s no surprise that SnapShove counts high-stakes tournament professionals such as Jason Somerville and Mike McDonald among its 54,000 users. You can get SnapShove on your Android or iOS device for free, just search “SnapShove” in the app store or head over to snapshove.com. Free users are given a limited number of searches per day. Alternatively, you can upgrade to SnapShove Pro to get an unlimited number of SnapShove searches and additional features for $14.99. If you prefer using apps like this on your computer, there is also a browser version on the SnapShove website. Did we miss your favorite tournament poker tool? Let us know in the comments so we can add it in a future update! We tried to include the best free poker software for tournaments, but we may have missed one considering the myriad of available poker tools. Note: When it comes to studying poker, it can be tough to know where to begin. You can study the game with step by step instructions and examples for a huge number of topics when you join the Upswing Lab. Learn more now! QUIZ – How Much Do You Actually Know About Poker Tournament Strategy? Check out our Poker Tools and Software page for some other useful stuff.